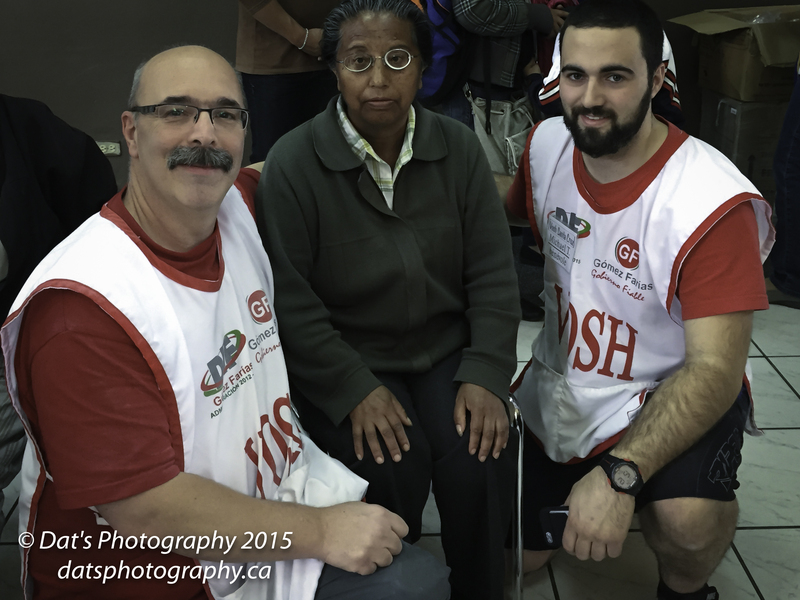 datsphotography.ca | Calgary Alberta Landscape photographer & Humanitarian Photographer. 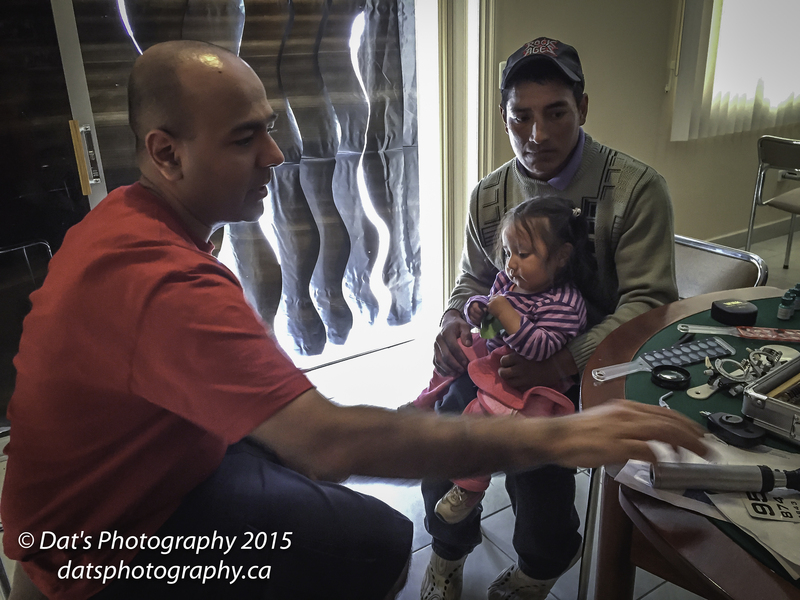 Calgary Alberta Landscape photographer & Humanitarian Photographer. Glasses can increase one’s productivity by 20% That’s the equivalent of creating an extra day’s work each week. 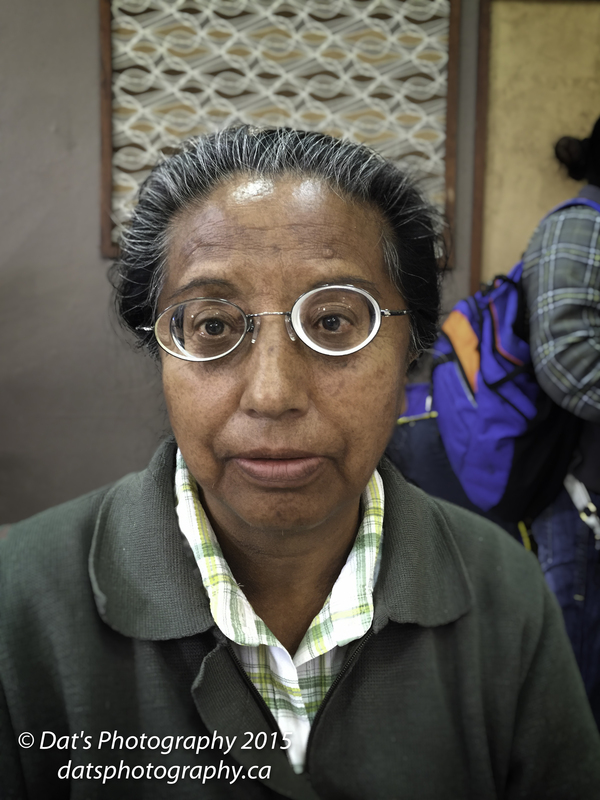 Glasses are one of the most effective poverty alleviation tools in the world. 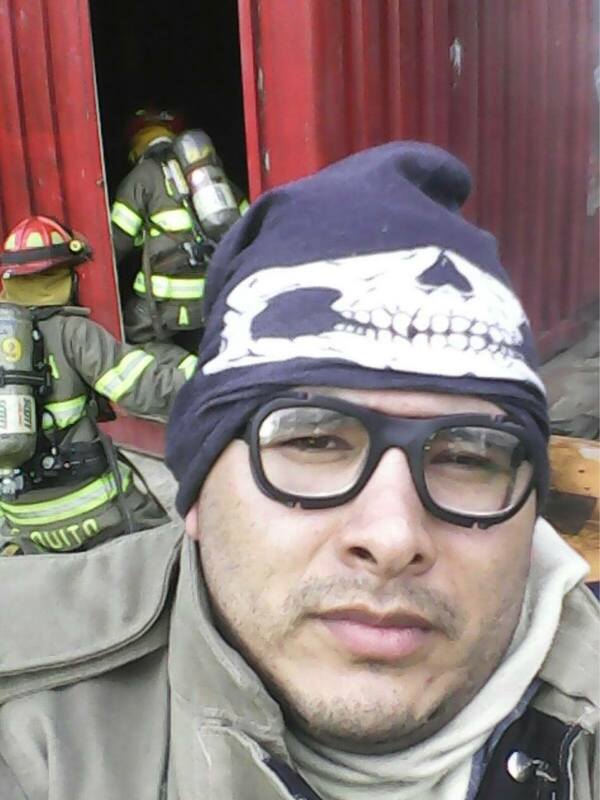 This is how Firefighter Diego with Mag 1 eyeglasses under his SCBA. SCBA stands for Self Contained Breathing Apparatus. 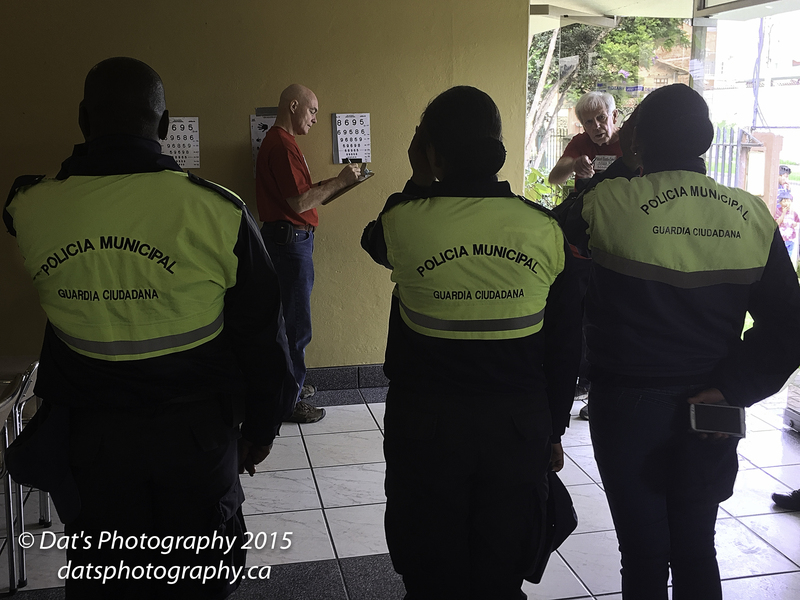 Eye test for a few members of the Cuenca Police Department. 90% of people that are blind or visually impaired live in developing countries. VOSH and our partners work to build long-term solutions to provide eye care in developing countries. Myself and co Optical mission team member pose with the woman and her new eyeglasses. View a short video from my last Optical mission to Ecuador https://vimeo.com/131499253 video from a team member Collin Bain. Optical Mission to Lima Peru schools. Im just about to embark on my second mission. This mission will be to the capital city of Peru, Lima. 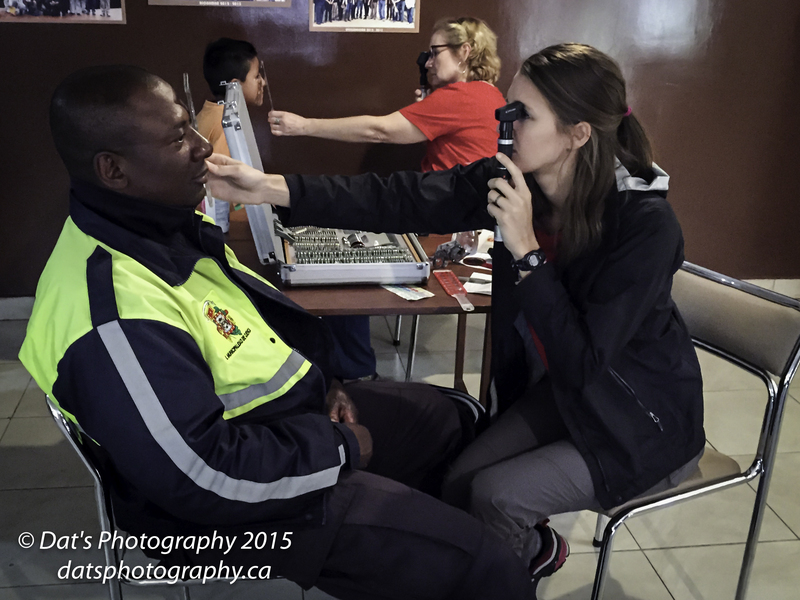 The team will be putting on optical clinics in some of the schools in Lima. The mission will be a week and a half long in duration. 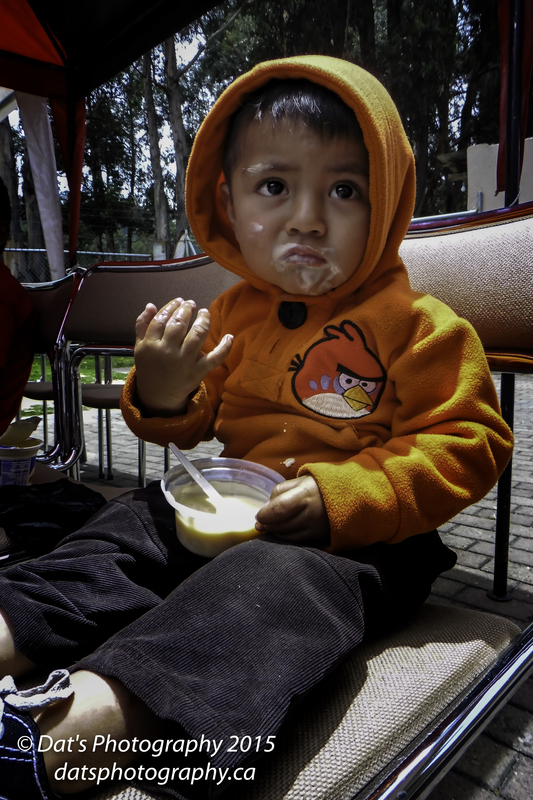 During this time we will test the eyes of children and support staff in some of Lima’s less fortunate communities. Lima Peru: Lima /ˈliːmə/ is the capital and the largest city of Peru. It is located in the valleys of the Chillón, Rímac and Lurín rivers, in the central coastal part of the country, overlooking the Pacific Ocean. Together with the seaport of Callao, it forms a contiguous urban area known as the Lima Metropolitan Area. With a population of almost 10 million, Lima is the most populous metropolitan area of Peruand the second largest city in the Americas (as defined by “city proper”), behind São Paulo and before Mexico City. Lima was founded by Spanish conquistador Francisco Pizarro on January 18, 1535, as Ciudad de los Reyes. It became the capital and most important city in the Spanish Viceroyalty of Peru. Following the Peruvian War of Independence, it became the capital of the Republic of Peru. Around one-third of the national population lives in the metropolitan area. The population as of 2015 is estimated at 8,852,000. With a municipal population of 8,852,000 and 9,752,000 for the metropolitan area and a population density of 3,008.8 inhabitants per square kilometre (7,793/sq mi) as of 2007. Lima ranks as the 30th most populous ‘agglomeration’ in the world, as of 2014. Well its time to wrap up my blog post about my first Optical Mission of hopefully more to come. 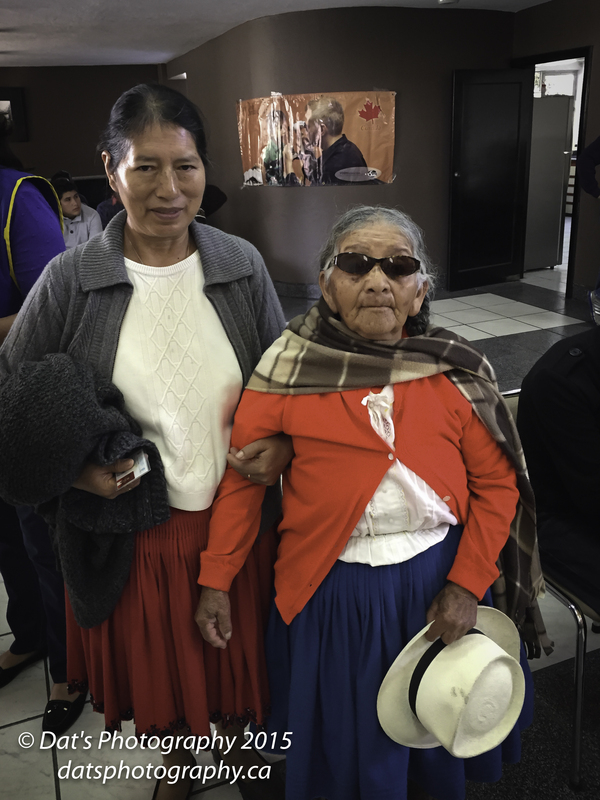 With your help by reading this blog and commenting on it and passing around the internet to rase awareness of the need for eyeglasses to help make life easier for those with preventible visual impairment around the world. Just think that old pair of glasses that you have tucked away, that is still in good shape could be the difference between not working to support your family and being able to give your children a better life, to being able to work make a modest living and give your children a chance at a better life. How could you do that you may ask ? 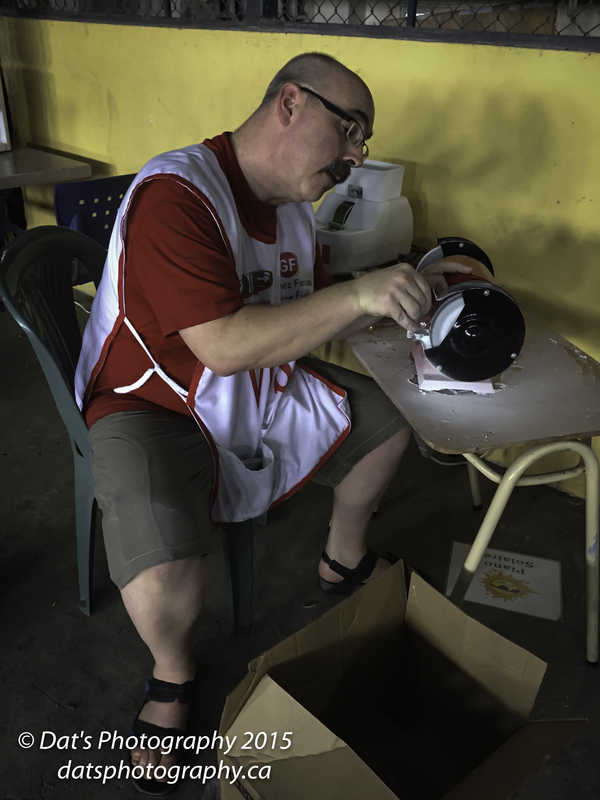 There are many ways that you can help some will not cost you a dime, like simply taking all of your gentle used eyeglasses and taking them to your local Optical store or your eye Dr’s office most places will be happy to collect them. You could donate your time if you are an Optician Or Optometrist or if your nether and you still want to make a positive impact against preventible blindness, if In Calgary Alberta Canada you could volunteer your time at the Lions Club that collects the donated eyeglasses by cleaning,and determining the prescription and doing minor repairs to the glasses. You don’t have time for that, well you could make a donation to the Alberta chapter of V.O.S.H or Volunteer Optometric Service to Humanity. you can also support myself Dats Photography by ordering any photograph you like on my website where 50% of all proceeds from the sale of photographic prints and or any photography service like a family or personal photo shoot. 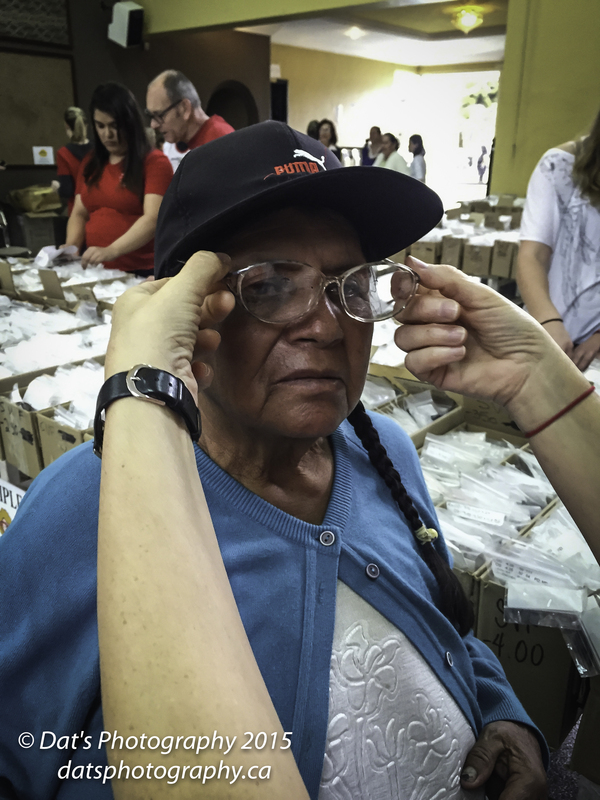 During the two week Optical Mission to Ecuador’s cities of Guayaquil and Cuenca we had many great moments, in fact every person that walked out of the clinic with a new pair of eyeglasses was a moment of thanks and a blessing for all involved. Some times there are bigger moments that you remember for a long time Having four such big amazing ,moments that I hopefully will remember for a long time to come. There is one amazing moment that I tell the story of all the time. 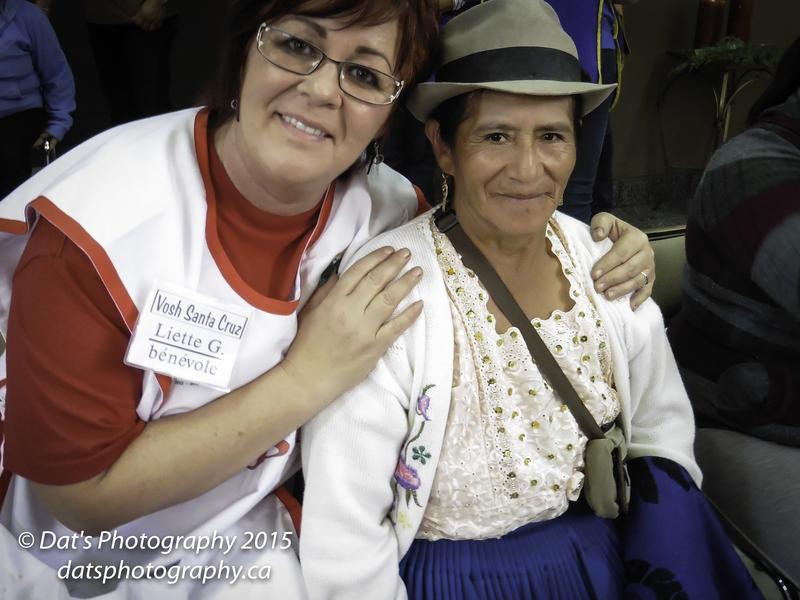 The story is about a woman from Cuenca Ecuador. The woman is now fifty eight years young and has lived all of her life with out eyeglasses. During the process of our easement the first test we preform on every man woman and child that attends the clinic is the visual acuity test, you know that chart with the rather large E at the top. when at work I have patience that ask who can’t see that humgus letter E ? 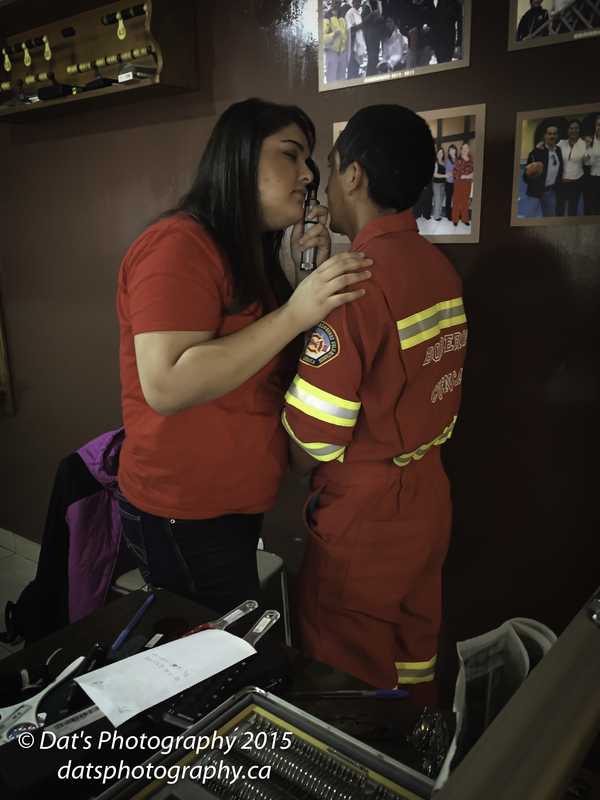 Now I can tell them about my encounter with this woman from Cuenca. This woman was the first person that I know of in my thirsty yeas as being an Optician Contact Lens Practitioner that couldn’t see the big E at the top of the chart.When this woman received her eye exam from one of the mission Optometrist she was sent to the waiting line to for one of the Opticians to find her a pair of glasses. The line up to receive eyeglasses was a set of chairs approximately ten wide and twelve deep. When one of the Opticians got to her, he went off to see what we could find for her even if it was close it would be better that nothing. 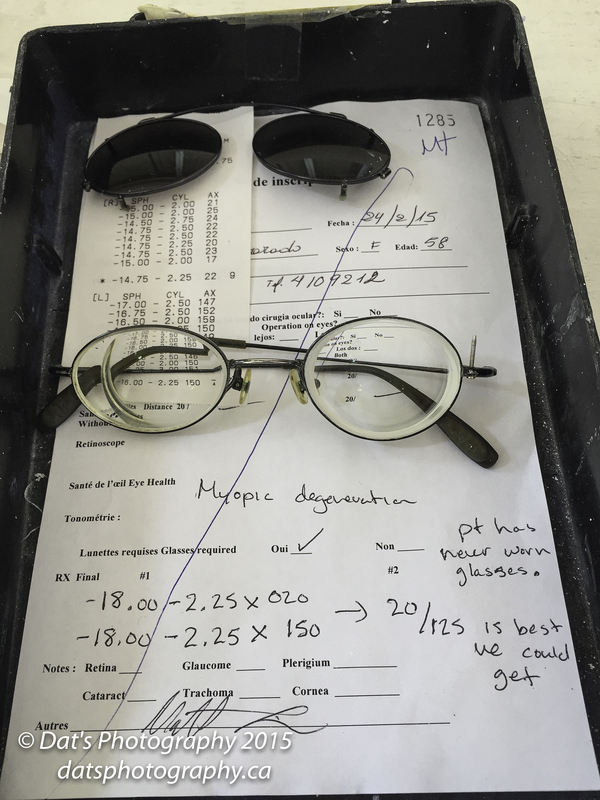 After many minutes of searching through the boxes upon boxes of eyeglasses he found two pair of glasses one par had the correct prescription in the right eye the other pair of glasses had the correct prescription in the left eye. This is where I come into play. During my thirty years of being an Optician I had the ability to hand edge lenses from a larger frame and cut the lenses to fit a smaller frame. I was given the task of taking the two lenses and cutting them down to fit a third and smaller frame. This is a photo of the woman’s prescription. A 58 year old woman’s first prescription ever. -18.00 -2.25 on both eyes. This is a photo of me grinding down a pair of lenses to fit a smaller pair of frames, using a grinder that you may have in your work shop. This is not your normal Optical lens grinder but it works. 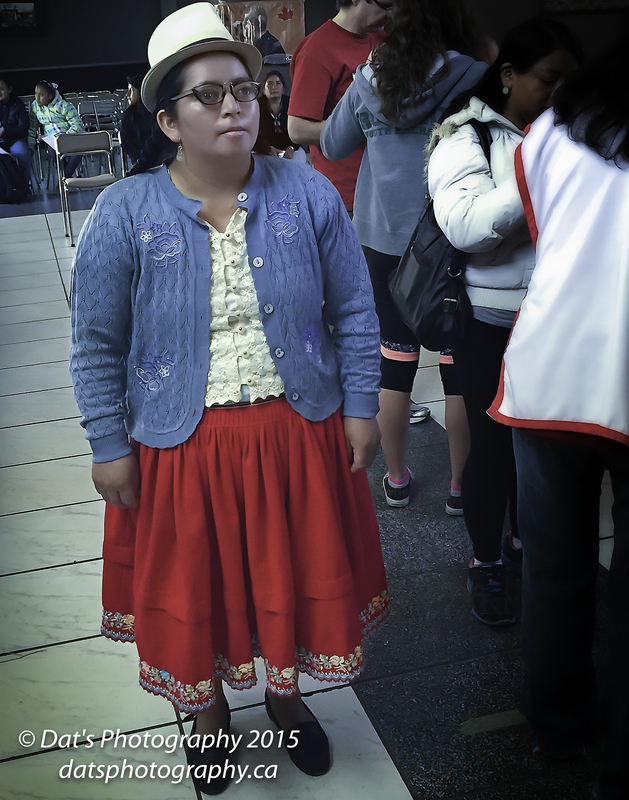 After I finished grinding town the two lenses to fit the third and smaller frame we then went to the woman that was patiently waiting for her new to her eyeglasses. I then put on and adjusted her new eyeglasses. 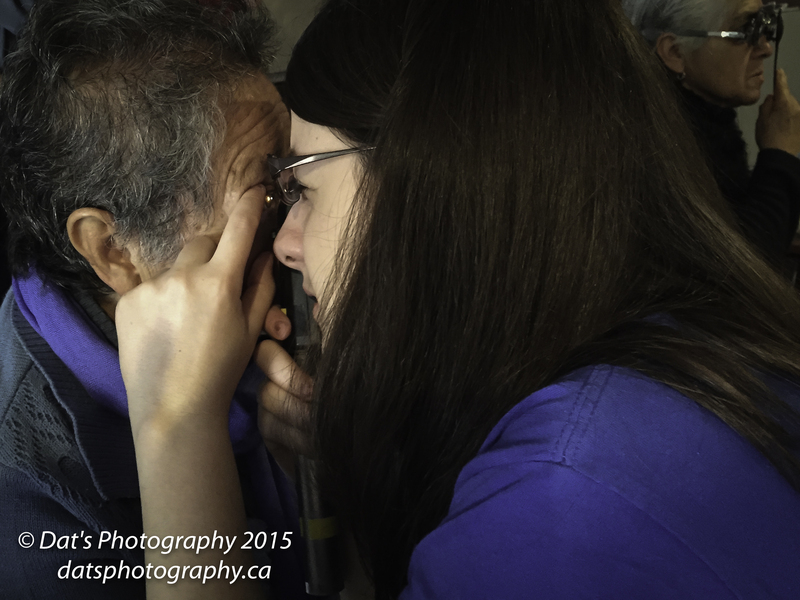 Then the big off to the visual acuity chart to see how we did with her new eyeglasses. When we asked her to read of the numbers not letters as the Snellen eye charts we had used numbers instead of letters as it was easier to translate the numbers. So to our overwhelming joy the woman could see all the way down to the 20/25 line thats only one line off from 20/20 perfect or normal vision. Myself and Optical team member that helped find the lenses and frames for the woman pose with her and her new eyeglasses. Can you imagine not being able to see for up to 58 years ? needless to say it was a lot for her and her eyes to cope with allot once, so talking through one of the many great interprets /translators I gave her instructions to where the eyeglasses at increasing intervals starting off at twenty minutes and increasing to hours then to all day every day. This would take some time for her to do but would eventually give her the best vision possible. The woman with her new eyeglasses. The left lens has a wring around it due to having to grind it down to fit the new frame as well as having to use the shop grande to cut the lens to fit. If I had access to a =n optical lens grinder I could have polished the lens ignored to match the right side better, but when in the field on a mission you do what you can with what you have. 58year old woman posing with her new glasses. It was an amazing experience to be part of this Optical Mission and I hope this will be the first of many more to come. With your help we can all be part in some way to help reduce the preventible visual impairment in the world one amazing story at a time. In closing if you like what you have read pleas pass it on and if you have comments please post them and if you have further questions or wish to ask me for more information on how you can help you can contact me via my web site at Dats Photography. 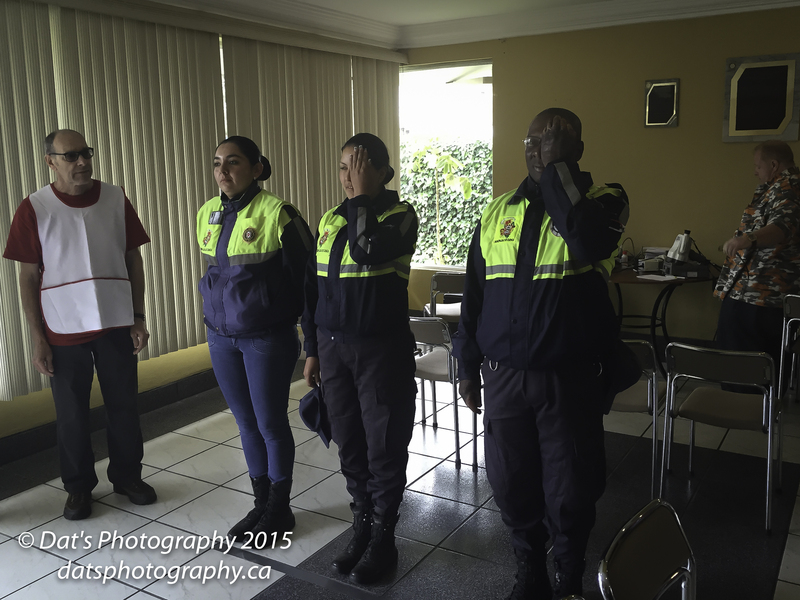 You can view more photos from the mission by clicking the link to Ecuador Optical Mission or you can view more photos of Ecuador that I captured after the mission was over. If you missed a blog post click on the blog posting you missed. I have entered a photography competition, photographers will defend on the Hanna Alberta Canadian Northern Railway Roundhouse. The Hanna round house was built in 1913 starting with a ten bay roundhouse.Today The Canadian Northern Railway Roundhouse my be one of the last of the roundhouse left in in the Canadian prairies. 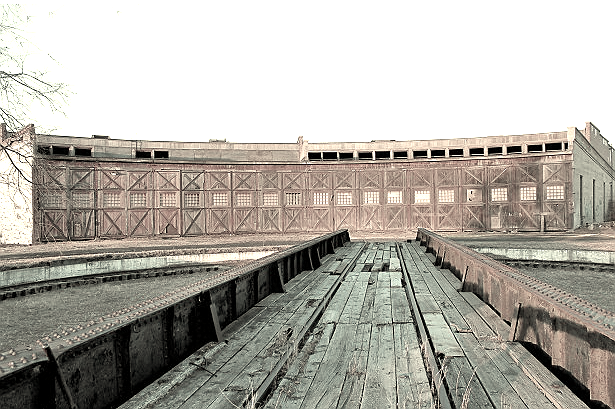 The Hanna Roundhouse Society is sponsoring the photography competition. It is my understanding that the photos will be used to promote the roundhouse and generate interest and funding to restore the roundhouse to its past glory. I plan on taking my Pentax 6×7 medium format film cameras one body with black and white film and one body with colour 120 film, as well as my Nikon Digital cameras. 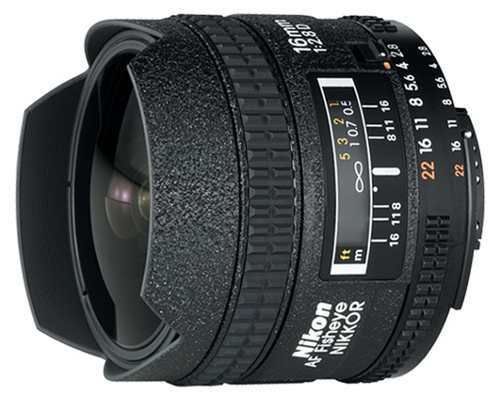 I have rented a Nikon 16MM f2.8D Fisheye lens to capture the roundhouse and all it has to offer. When I get back I will post some of my photos of the roundhouse and area. 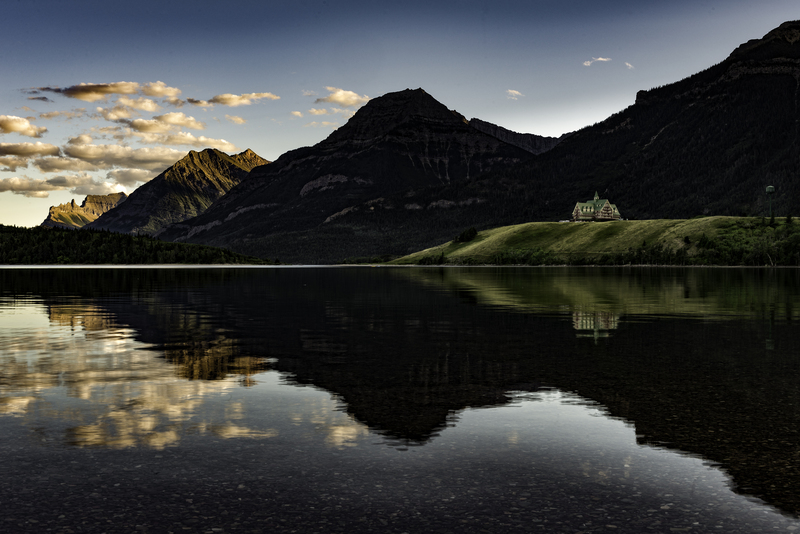 Waterton Lakes National Park, Landscapes Photography Trip. During the summer Dean from Dat’s Photography, A Calgary Alberta Canada photographer with a humanitarian mission to help reduce preventible blindness, by using Dat’s Photography as a passion for photography and a way of raising funds to participate in an Optical Mission through the sale of prints and photographic services, like photo shoots. During the planning of the photographic trip to Waterton Lakes National Park Dean looks at photos of the area that others have posted to the web using photo sharing sites like 500px, Flicker and View Bug. I also use apps like google earth,The Photographer’s Ephemeris (TPE) This allows me to create a location and shoot list of what I hope to get during my photographic trip. If your a photographer planning to go on a photographic trip to any location you should be using these tools ignored not to wast you valuable time and effort with the hopes of capturing great Landscape or travel photographs. After I had done some planning on locations and photos I would like to capture it was time to get packed and head off to my location to set up camp. As Waterton Lakes is a National Park in Canada you will need a Park Pass for the time you spend in the park or if you plan to visit more than one of the national parks in Alberta you may wish to buy a seasons park pass as it will pay of in a few days visit to any national park in Alberta and will give you the ability to visit any of Parks Canada’s National Parks across this great land of Canada. Waterton Lakes is about three hours from the city of Calgary,so when I arrived at the park and made it to my camp ground it was early afternoon. I was created by one of the park rangers at the Crandell Mountain Campground and was told that there was a waiting list for camping sites and to come back with this paper with you waiting list number, for me that was number 22. My suggestion to you if planning to go to Waterton is to arrive early in the morning and get you camp spot or a good low waiting list number. or reserve a camp spot in the town of Waterton,Townsite Campground the only campground you can reserve a campground. During the time I had to wate for my campground to become free I scouted out some of my shoot list locations as well as looking around the town of Waterton and the Prince of Wales Hotel, one of my to shoot locations. Waterton is usually a very windy location so I was over joyed when close to sunset I set up my camera and composed the shot I was going to capture and the wind started co calm down and the lake water started to smooth out and looked like a mirror. my two favourite photos from the beach location looking west towards The Prince of Wales Hotel. 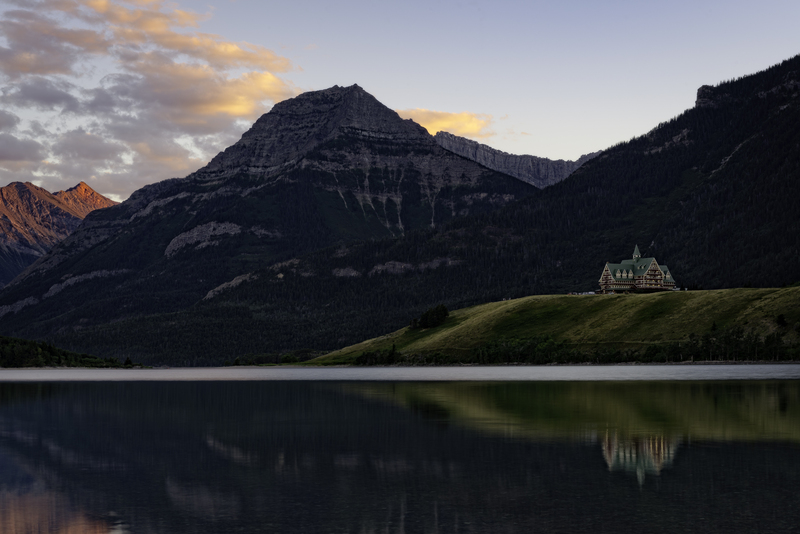 Sunset over The Prince of Wales Hotel,Waterton Lakes National Park. Sunset on Waterton Lakes National Park.parks Canada.with the Prince of Wales Hotel’s reflection off waterton lake. After capturing these great landscape photographs I headed back to my campground for the night as I was planing to get up before the sunrise and drive to Cameron Lake to capture the sunrising on the mountains at the end of Cameron Lake. Did you know that the south end of Cameron Lake is in the U.S.A and is only excusable from Canada. Cameron Lake strudels the 49th parallel, the boarder between Canada and the United States of America. At five o’clock in the morning my iPhone wakes me up and the first thought through my head is DO I Want To Go ! a moment or five rolls by and I get up go to the car and head off to Cameron Lake to Capture this Amazing sunrise with the morning sun kissing the tops of the Rocky Mountains. 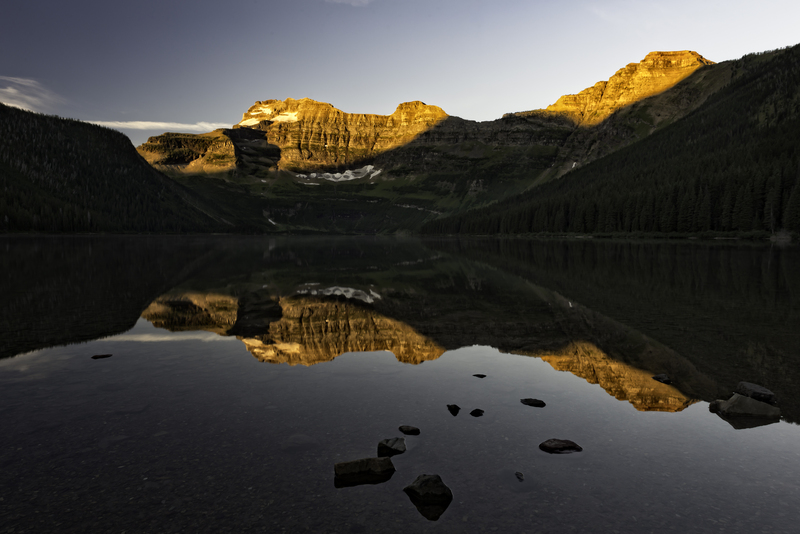 Reflections of Sunrise on Cameron Lake in the Waterton Lakes National Park, Part of Parks Canada Amazing National Parks. On the way back to my campground I was in heaven thinking about the beautiful sunrise I just captured of Cameron Lake. When I came across two separate groups of Rocky Mountain Big Horn Sheep. 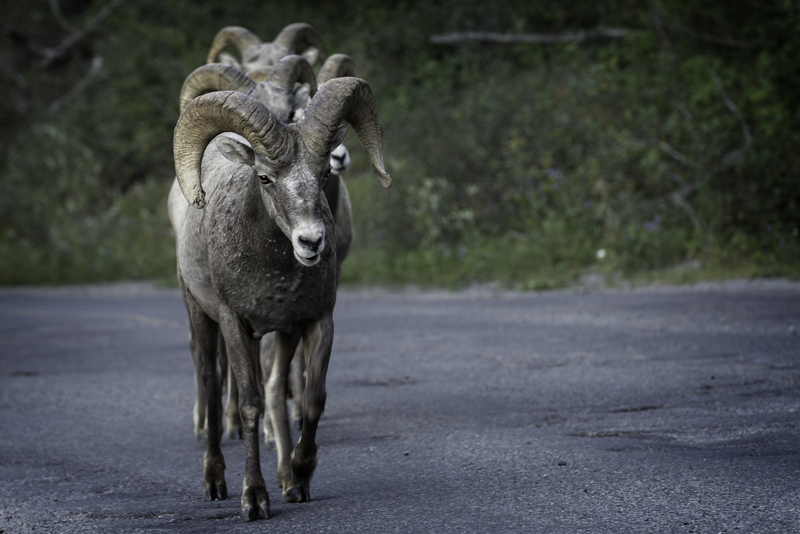 One group consisting of one ram and his three ewe’s and the second group a short distance down the Akamina Parkway, also known as the Cameron Lake Road, was a bachelor group of three rams. Rocky Mountain Big Horn Sheep are my all time favourite animals. This was the best morning of taking photos ever, needless to say I was extremely happy I rolled out of my sleeping bag a five in the morning. 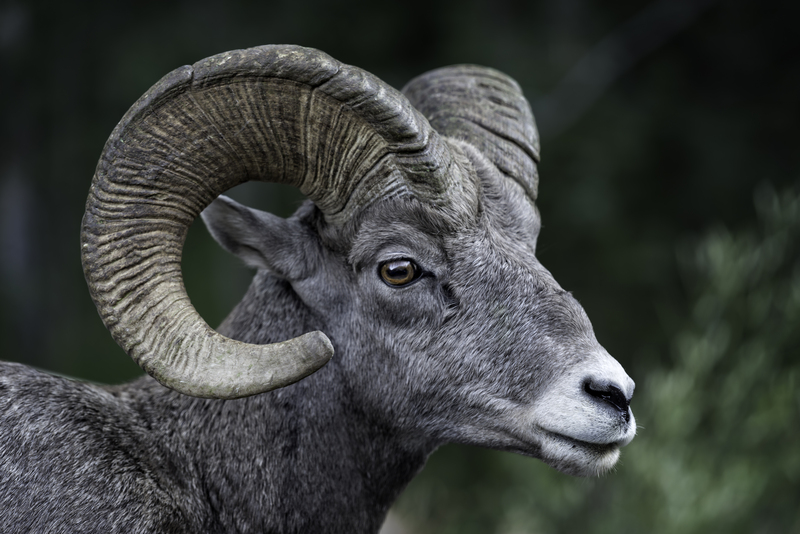 A Rocky Mountain Big Horn Sheep, Ram. Akamina Parkway. Bighorn Sheep Waterton National, Akamina Parkway. 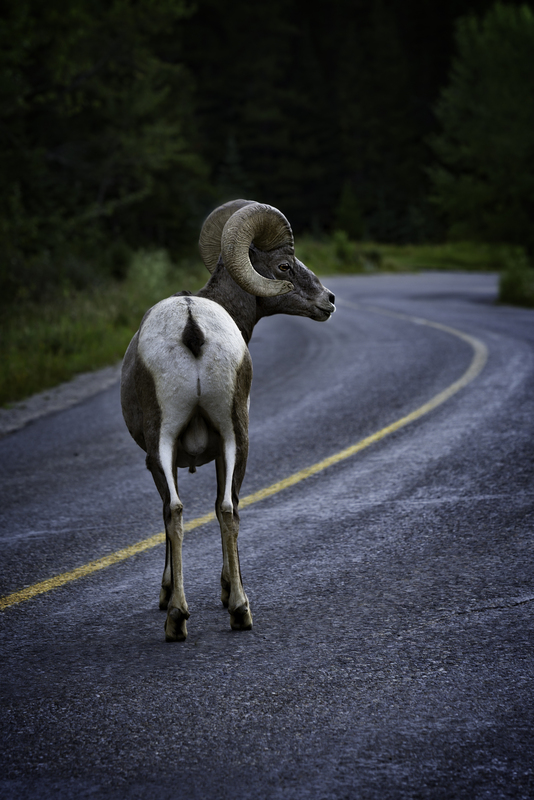 A Ram and his three Ewe’s bighorn sheep Waterton National Park.Akamina Parkway. 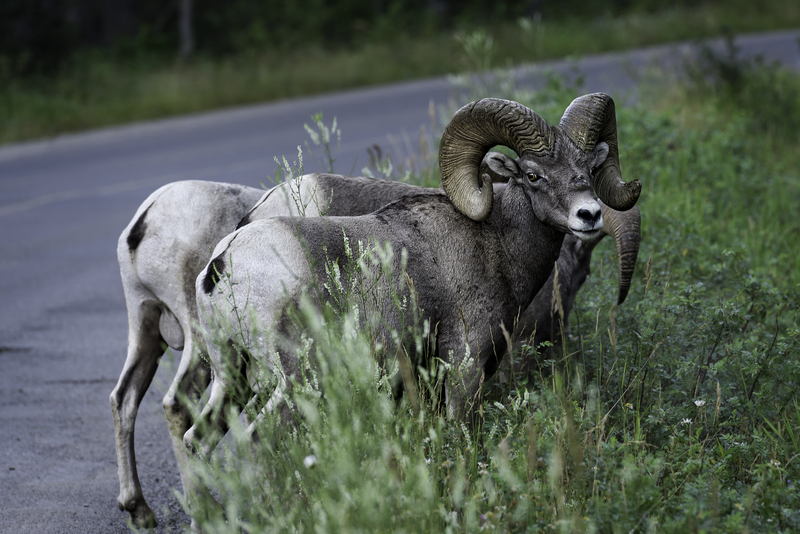 Rocky Mountain Big Horn Ram on the beautiful Akamina Parkway, also known as the Cameron Lake Road. In the afternoon that day I scouted out a few locations for the next shoot. I looked at the Red Rock Canyon area but it was a hot day around 30 Celsius and the creek was stupid crazy busy with other visitors to the park. so off mack to camp. On the way back to cam I stopped off at a picnic area on the side of the Red Rock Parkway and found a gem of a location, a creek called Lost Horse Creek. 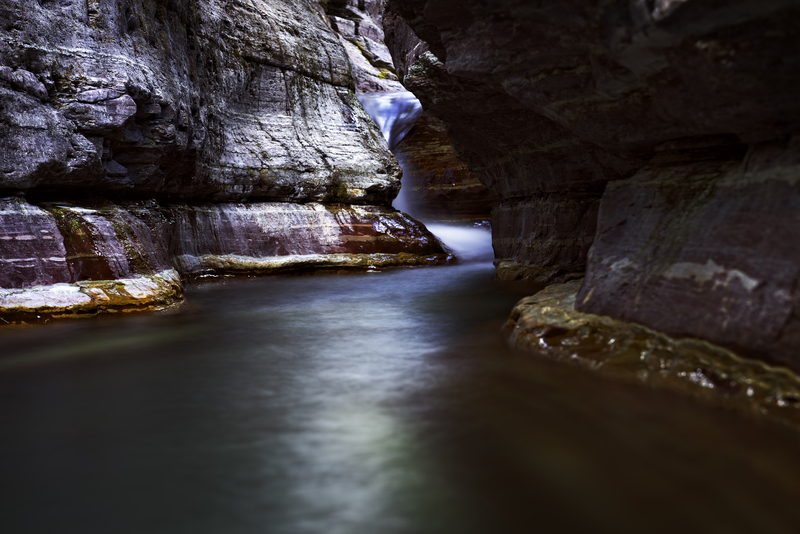 The photographic gem of the creek is located under the parkway bridge. To capture this shot, I waded out into the creek to mid thigh, set my tripod up half in the water half on the rock wall of the creek. But me being me that wasn’t good enough so I decided to go just a bit further no further now up to my waste in what was refreshing water now becoming cold cold water. Now that I’m up to my wast in cold Lost Horse Creek I set up my camera on the creek bed and capture this beauty of a landscape shot. 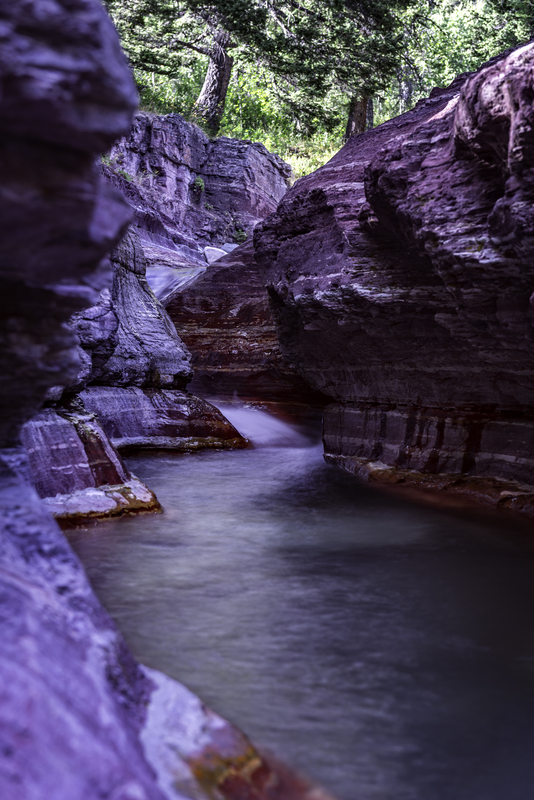 Lost Horse Creek, under the Red Rock Parkway Waterton Lakes National Park. Note to self and other photographers if your thinking about wading into any water take your wallet and any thing you may have in your pockets thats not waterproof . I managed to get a rather wet wallet and my car key fob wet but fortunately I had my cell phone in my camera bag, close call on the phone as it is usually in my pocket. The next kind of photo on my shoot list was to capture the Milky Way. 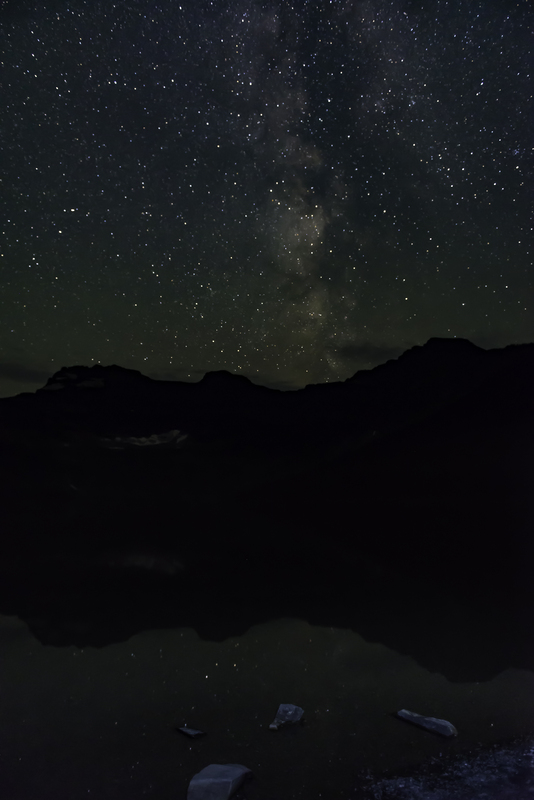 Having done some research with my Photographer’s Ephemeris (TPE) app and knowing that the milky way would be visible in the southern sky I decided to stay up late and drive back to Cameron Lake that night. Having been to Cameron lake for the sunrise the other day I visualized what it could be like and where to set up my tripod for some long exposure photography of the milky way. This is what I was blessed with that night. 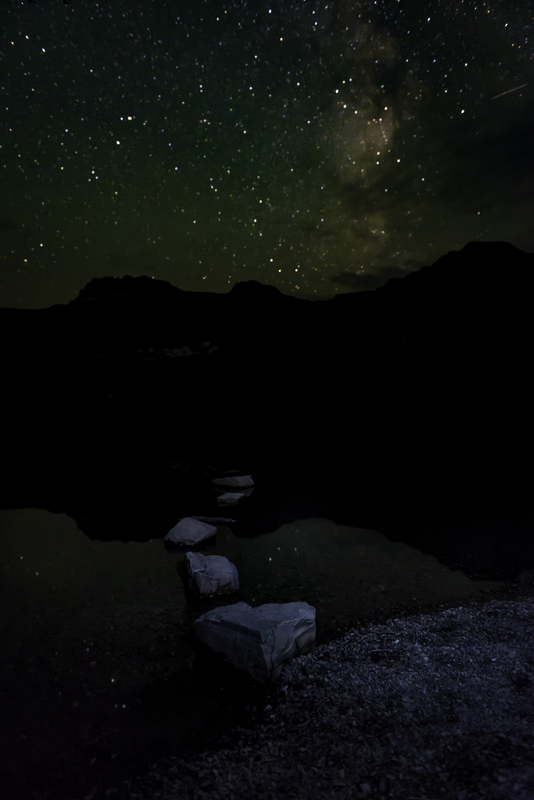 Stepping stones to The Milky Way, Cameron Lake, Waterton Lakes National Park. 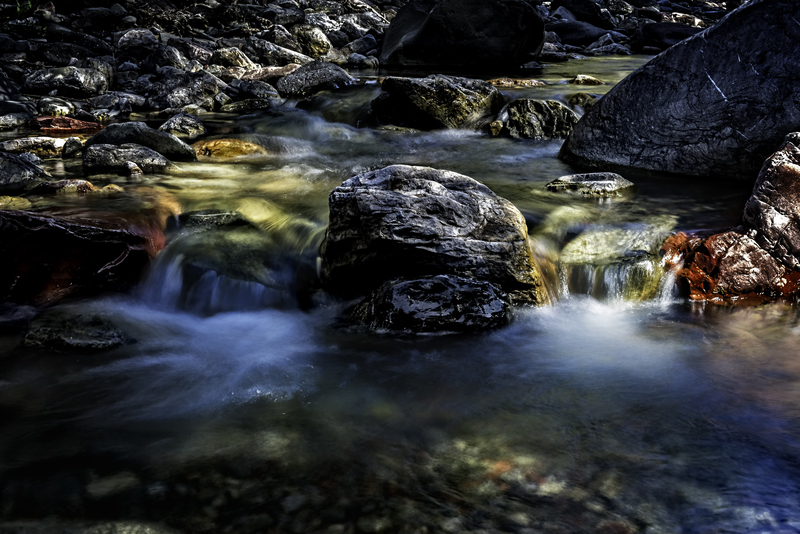 So far Ive been blessed with some amazing landscape photos, until the next day I decided to re visit the Lost Horse Creek and see if the upper part of the creek was as good as the lower part. so up the creek I went in search of some good shots. I did capture a few like this one but at a cost. So your probably asking: AT What Cost ?? and if your a photographer your probably thinking camera and lens or if your lucky only a lens. No less expensive that all that as I had my F-Stop Loka camera backpack on and my camera was locked into place by my Cotton Carrier. (no I don’t get payed by them to squish them into the story, just great gear). What happened was I was picking up the creek and I stepped on a rock, the rock went one way and I went the other twisting my left leg. After a few choice words I plunged my ankle and leg up to my knee into the creek water to help reduce the pain and swelling. I did manage to hobble back to the car with the help of my tripod that i used as a crutch. Needless to say that was the end of the trip but not the problem with the lower left leg. After a week of hobbling around, I thought things where getting better then when I was walking through the living room I took a step then head a loud pop, like a rubber band snapping and shooting pain up my leg. After a few choice words and a trip to the Dr’s office and an ultrasound of my calf muscle, I now have a tare in my calf muscle. Things are on the mend and getting better every day but it has put a damper into taking camping and photography trips for the next few weeks. If you have seen a photo on this blog or my web site, Dat’s Photography . And would like to purchase a print or two for your home and or office app photos are for sale and 50% of the proceeds go to funding my participation in an Optical Mission to dispense eyeglasses to people in need of corrective lenses. Did you know: Currently, about 185 million persons worldwide are functionally blind due to simple refractive error. Another 700 million persons lack reading glasses. 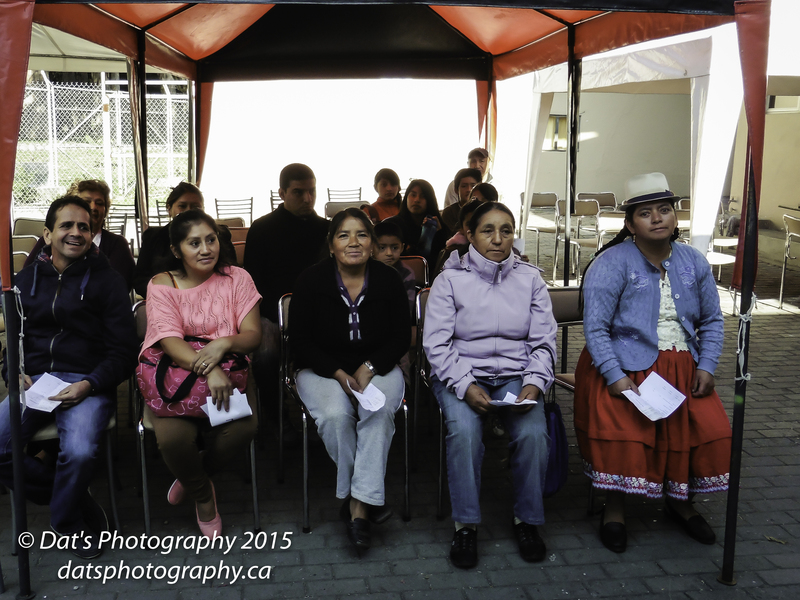 Our hosts for the Cuenca clinic was the local chapter of the Rotary Club. 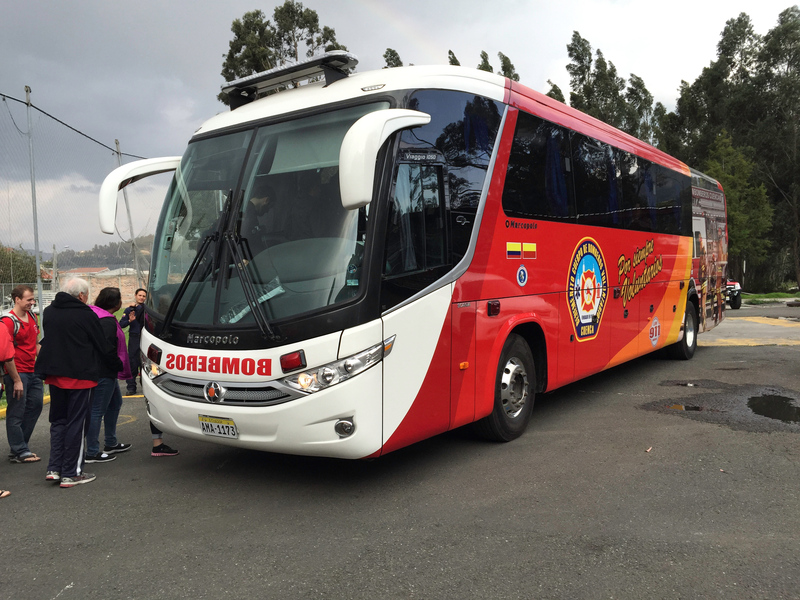 The Rotary Club had everything organized for us and had arranged with the local fire department to pick us up and drop us off every day with the Cuenca Fire Departments new bus. I think it must have been only a few weeks old. Our Optical Mission Team’s transportation to and from the clinic every day. 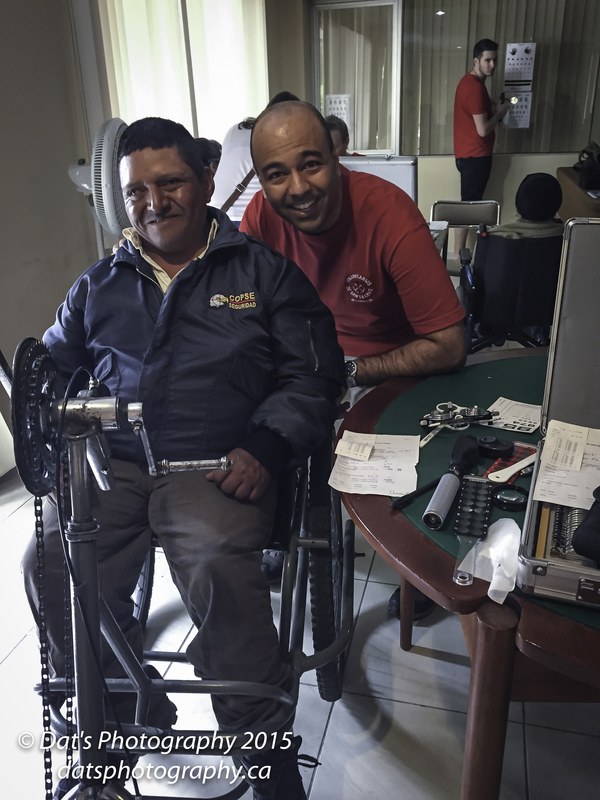 Once we arrived at the clinic we spent the first few hours setting up all of the assessment and eyeglasses dispensing areas then it was off to work processing the people of Cuenca and surrounding area. During the five day clinic we where able to asses a few members of the local police and fire department. Local Police in a different kind of line up. One for eye test. During the clinic i had the opportunity to meet and get to know a local Bomberos or Firefighter.I was able to donate my spare pair of eyeglasses I brought with me and after the mission was over I was able to send Diego a special pair of eyeglasses that I used when I was a Firefighter in Salmon Arm. 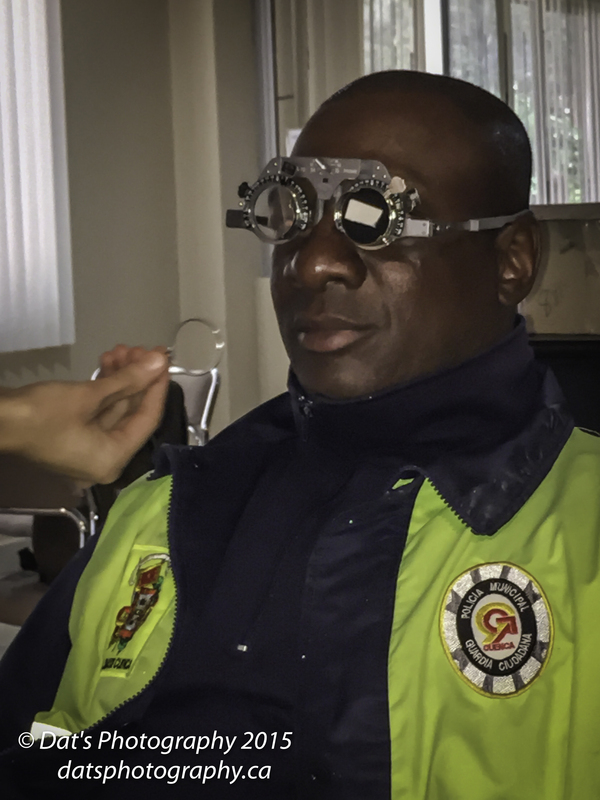 The eyeglasses fit under the breathing mask and allow the Bomberos/Firefighter to see when fighting a fire or training exercises. 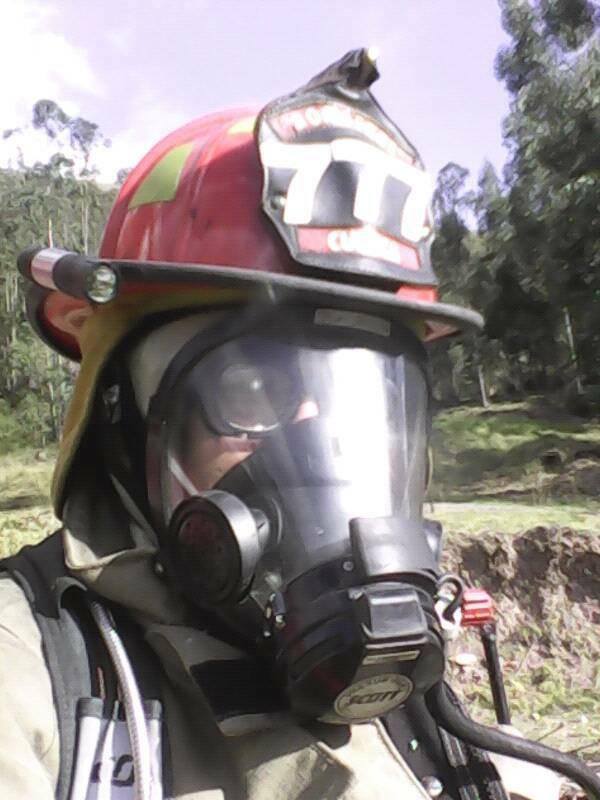 Firefighter Diego with Mag 1 eyeglasses under his SCBA. SCBA stands for Self Contained Breathing Apparatus. Paying it forward is more rewording that most people think. When you can help people that will continue to help others you small gift of time seems almost insignificant, but so rewording. 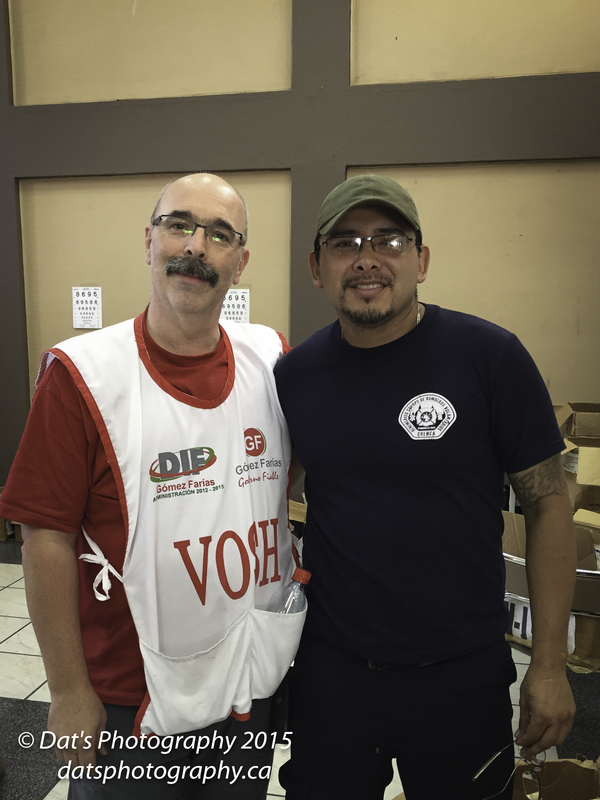 I am now friends with Diego via Face book and have been able to organize the purchase of three pair of Mag 1 Eyeglasses for Diego’s fellow fire department Bomberos from Canada. At the clinic had line ups to get into the clinic and a line up pretty much every staten we had, this being said the people of Ecuador where extremely patient and never complained of how long the process was taking and if we had a senior or handicapped person come to the clinic everyone was more that willing to let the go to the front of the line. We in Canada need to learn this kind of manners. 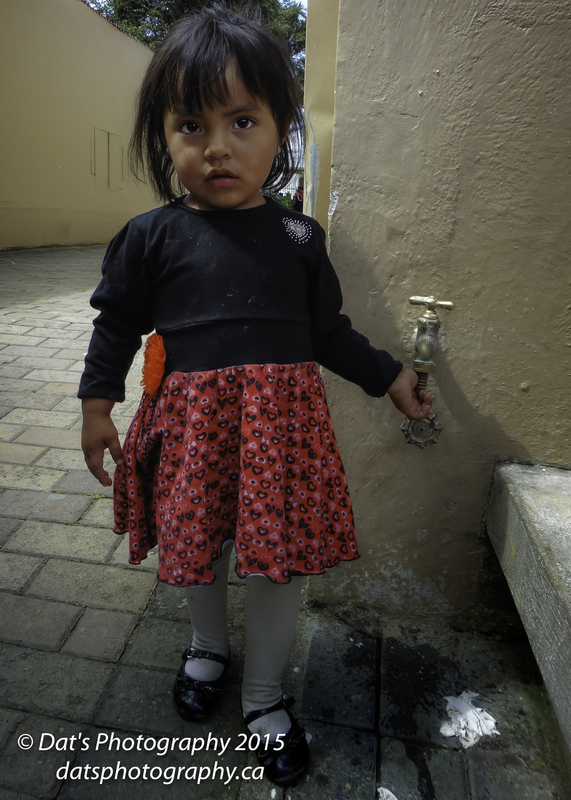 Photos from The Cuenca Optical Mission. 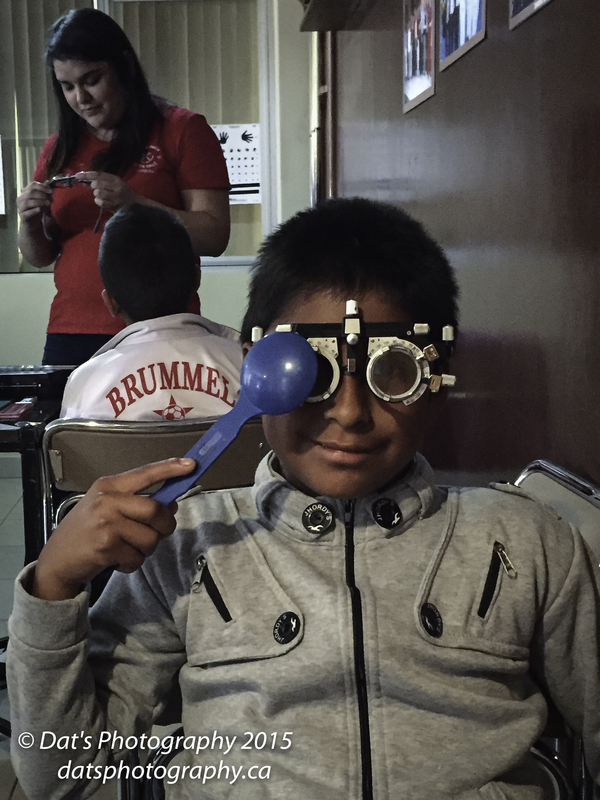 I have one more Amazing story left from my time at the Cuenca Optical Mission Clinic to share with you on my next blog posting. In short it is about a woman that received her first pair of eyeglasses in her life at the age go fifty somthing. 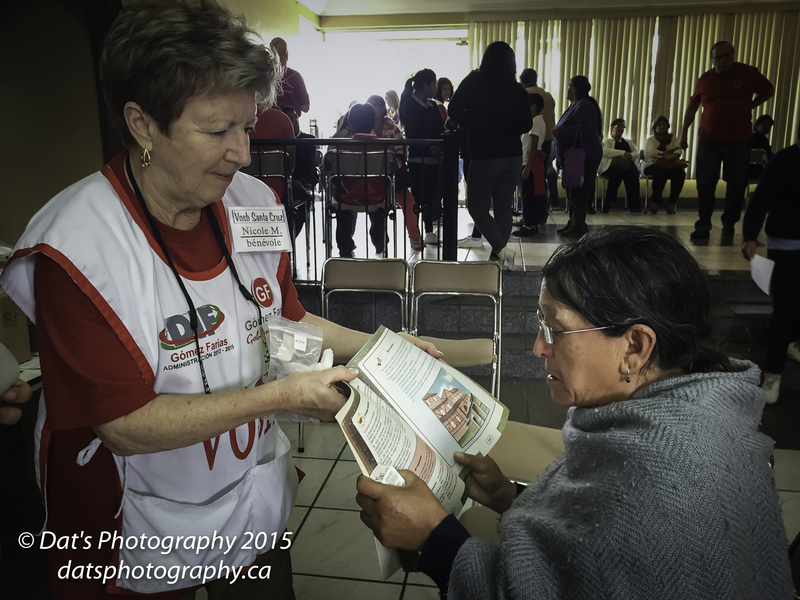 If you have enjoyed reading about my time on my first Optical Mission Trip and wish to make a difference you can help by donating to V.O.S.H International or my local chapter V.O.S.H Alberta You can view more photos from the Optical Mission to Ecuador as well as other photos taken by Calgary Alberta Canada’s Dats Photography. Dats Photography will donate 50% of all proceeds to funding Dean Thompson participation in an up coming Optical Mission to a third would country in the future. 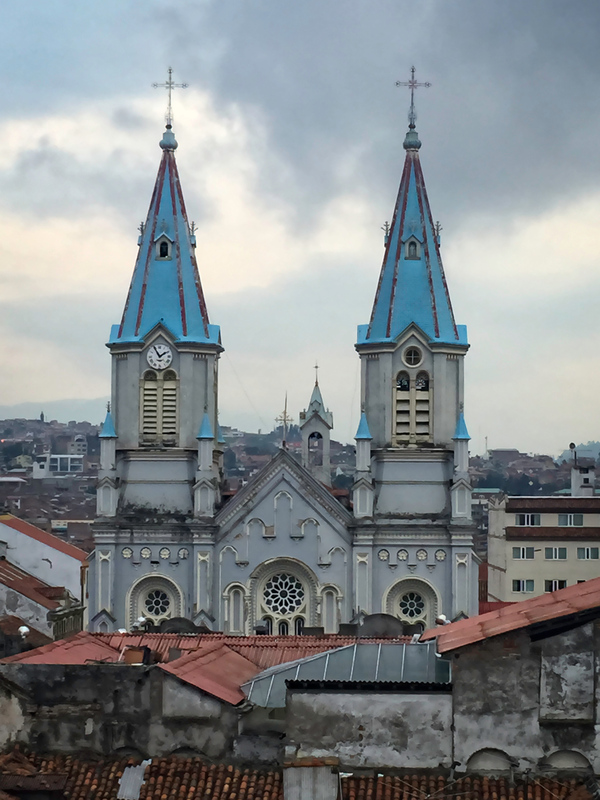 Optical Mission to Ecuador, Cuenca Part two. After our day long bus ride to Cuenca we made our way to our hotel rooms, for a quick refreshing shower then off to explore the beautiful Cuenca or its official name Santa Ana de los cuatro ríos de Cuenca. The centre of the city is listed as a UNESCO World Heritage Trust site due to its many historical buildings. Cuenca is well known for its stunning architecture, tourist attractions, hotels and night activities. 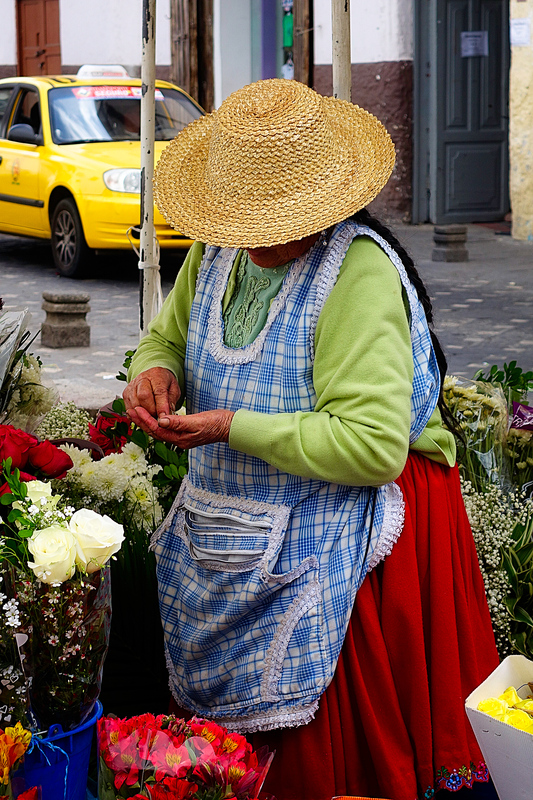 A Cuenca flower market vender counts her profit from a sale. 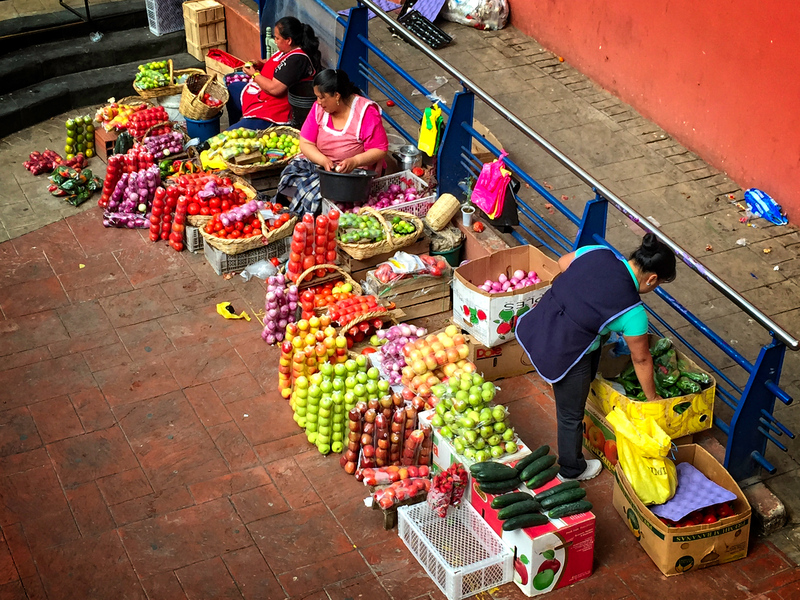 One of the many markets found in the city of Cuenca Ecuador. 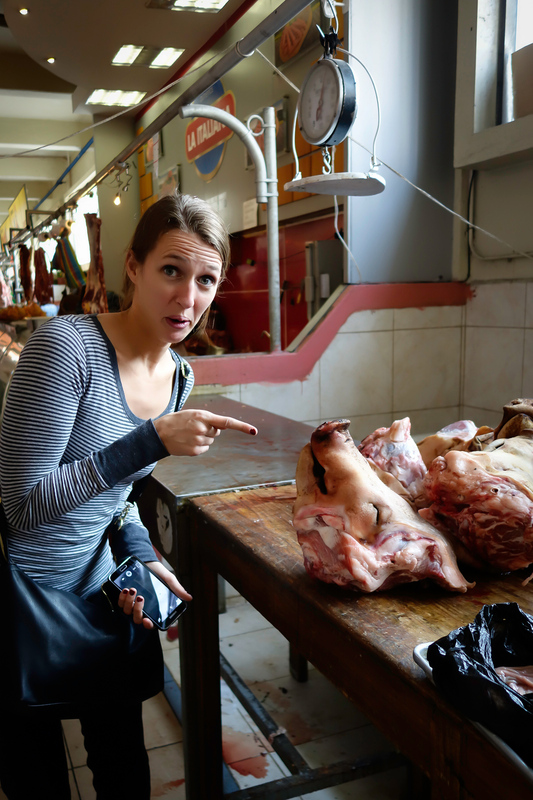 An Optical Mission team member attempts to kiss a pigs head. 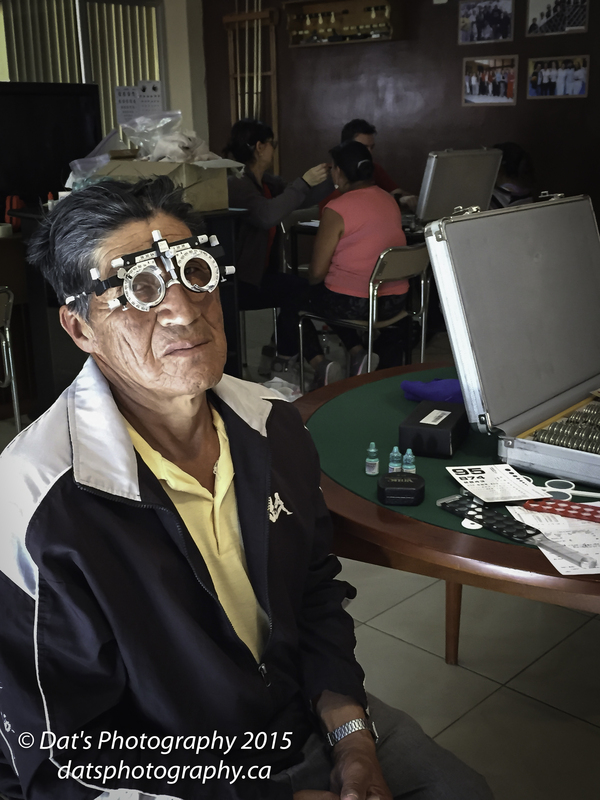 In the next instalment of my accounts of my first Optical Mission to Ecuador, will cover our optical clinic in Ecuador. This time for real I know I said this in Optical Mission to Ecuador, Cuenca Part One but i found some great photos and memories to go with them so I got side tracked. 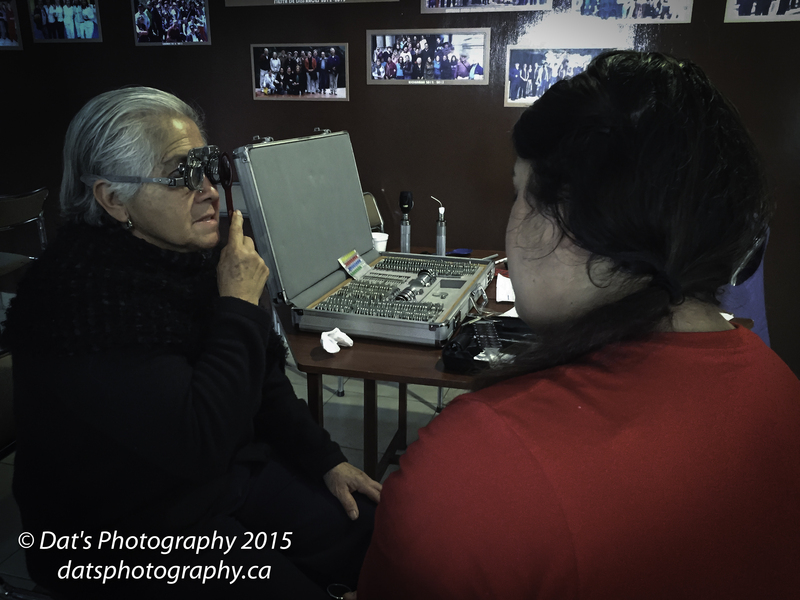 You can help me finance my participation in an upcoming Optical Mission by purchasing and photograph from Dats Photography Fifty precent of the proceeds of sales or photographic services go to funding my participation in an upcoming Optical Mission. To find out more information on Dean and Dats Photography and how you can help reduce preventible blindness around the world visit Work with me. 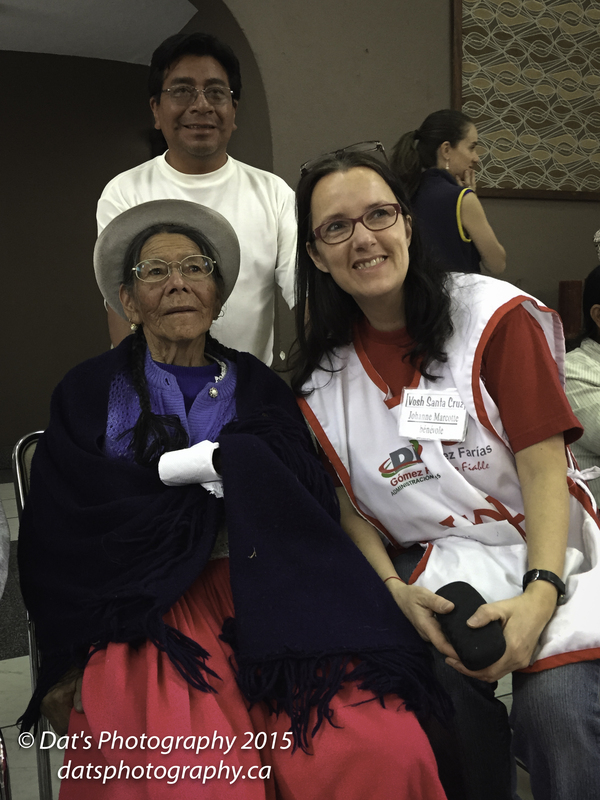 to view more photos from the Optical Mission and to view my other photos from Ecuador click on the links provided. Thanks in advance for viewing and reading my blog.